When I heard that Estee Lauder’s Global Makeup Artist, Derek Miller, was sharing his secrets, I was on it like white on rice. With a fine arts background, Derek joined the Estee Lauder team 12 years ago and trained alongside Tom Pecheux in Paris – so it’s fair to say he has a trick or two up his sleeve. From backstage favourites to travel essentials, Derek shared his must-have products and also showcased the latest releases from the brand. We were shown how to contour our cheeks like a pro, and our makeup was expertly touched up before we headed off at the end of the class. With his manic schedule (he's off to Hawaii next, via LA! 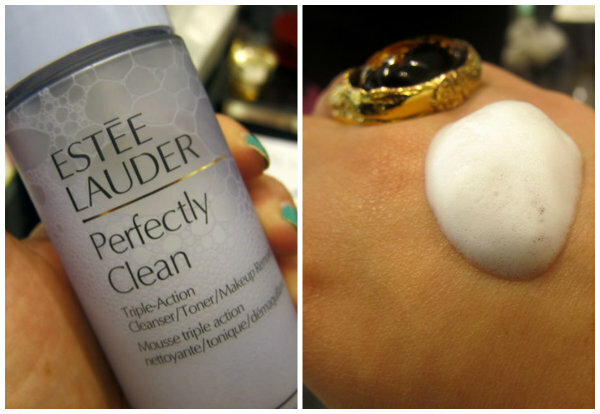 ), Derek’s a big fan of multi-taskers and especially loves Estee Lauder’s new triple action cleanser, Perfectly Clean. This lightweight foam acts a cleanser, toner and makeup remover, and can be used with cotton pads, or water and a muslin cloth. It’s €28 and I plan on trying it out soon. He's also a fan of Nutritious Radiant Vitality 2-Step Treatment, a dual product combining a detoxifying clay mask with a nutrient infusing gel. Made with pomegranate extract as well as hyaluronic acid, Derek tipped this one as perfect for travelling so I might pick it up before my next trip. 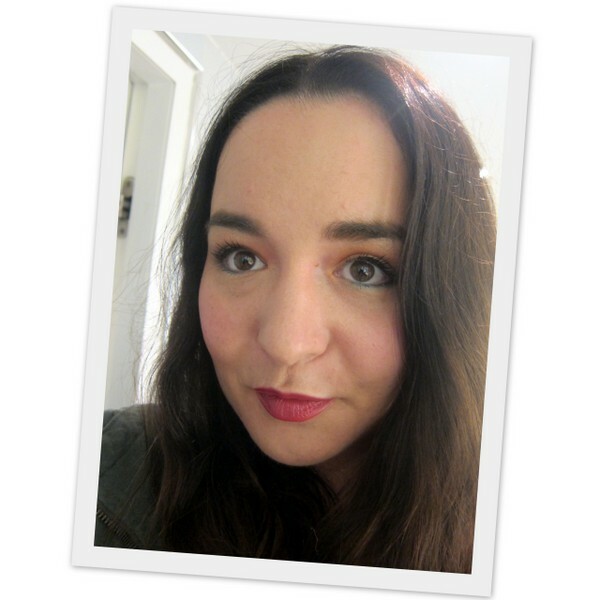 Makeup wise, I was most excited about playing with the new Cello Shots - translucent cheek stains, lip glosses and lipsticks that are inspired by coloured cellophane. They give a lovely veil of colour and the four pretty cheek stains are particularly pleasing. I’ll leave you with the look Derek created for me using Estee Lauder’s summer palette, Batik Sun, which I really love –I own this palette and came up with a similar (though less expertly applied) look when I was messing around with it myself. Makeup masterclasses are regularly held by high-end brands in some of the bigger department stores (this one was in Brown Thomas) so do keep an eye on their websites or sign up to any mailing lists, if you’d like to attend. Love it! It was a make over by EL make up artist Alan Pan that first got me really in to make up so I always have a fondness for this brand! Your make up is gorgeous! Thanks guys, I loved it! Looking beautiful as always, Been intrigued by those Cello Shots since I seen you tweet a pic of them. You look amazing Emma, I think this is the best make up I've seen on you, it's flawless. Such a fab experience to get tips from such a pro. Your makeup is gorgeous! Love the sound of the Nutritious Radiant Vitality mask and those Cello Shots look amazing! Gorgeous, makeup! Thanks so much for sharing. I like the colour of the lipstick; a very subtle shade of red. Emma, so glad you got to meet him. He seems so nice and what a talent. The products he recommended seemed fabulous girl! I'm going to look into them. HaHaHa Great makeup job he did on you. Have a great weekend. I want to try these cello shots you speak of. I think your own attempt was every bit as gorgeous! 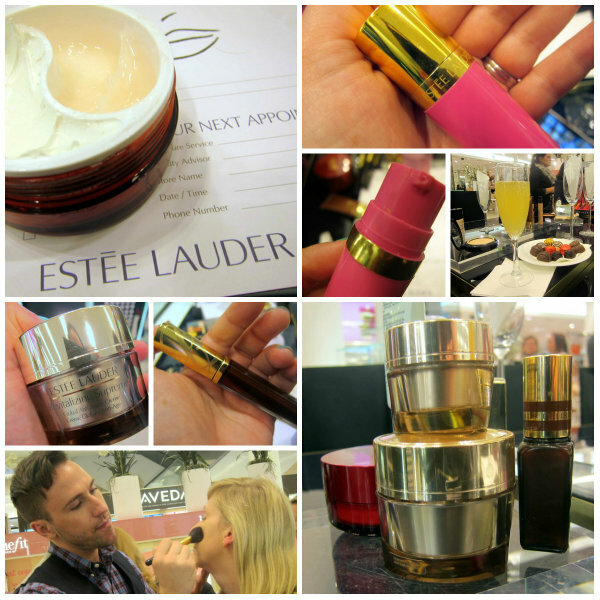 The products look fab, Estee Lauder are really upping their game.